Do you know who can afford not to have a website these days? No one. Individual people can still do perfectly fine with social media alone. But if they are at all interested in personal branding, they need to take complete control over their online presence and buying a domain name and using it for a website is an important part of it. But your small business doesn’t need branding, you might say. Maybe it doesn’t today, but who can guarantee about tomorrow? And the later you join the business website game, the more of a head start you are giving to your competitors. Still not convinced? Here are seven reasons that might change your mind. Having a website is easy. Websites are not the technically demanding complicated things you might think they are. Actually, they can be, but most of the complicated things are happening under the hood and away from the level you can get involved on. If you decide to let the professionals handle the technical part of building a website, you can focus on things that matter more to you and your business. You can choose your level of involvement with the functioning of your website. Everything that you can’t or don’t want to do, you can outsource. 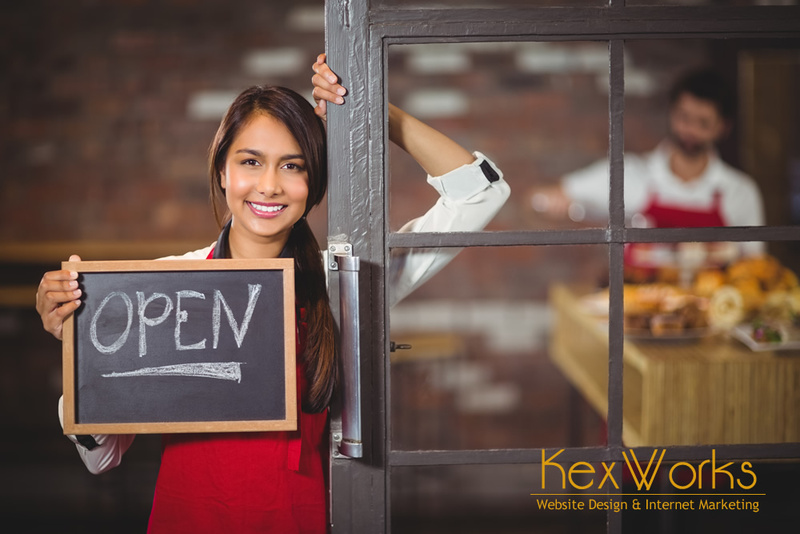 Deciding to build a website for your small business isn’t only a question of whether it needs the website or not. It’s also a question of whether your business’ competitors have it. Chances are they have it already. If they don’t, they are probably planning to get it soon. It’s an arms race, and it’s not fair. But that’s not just how business works, it’s how nature works. If it can’t adapt to the new circumstances, your business will go under. The businesses that adapt have a chance to survive. The website is almost like an adaptation. A website is always open for business. Having an online store is like having a store people can access anywhere, anytime. And that’s amazing because you never again have to lose customers because of closing hours or their geographic locations. If your business is selling anything, it makes perfect sense to start offering it online. Some business can’t sell their wares online. If yours is one of them, don’t worry — a website will still be able to drum up business even while the physical offices are closed. A website can provide information, gather inquiries, and even communicate on your behalf with prospects. That’s a powerful tool, and it works around the clock. It can help train and educate your staff. No matter how good your staff is — and they are surely great — there’s always room for improvement. A good employer will invest in the education of their staff. At the very least, they will ensure that the staff has the training they need for their jobs. A website can have a part in educating your staff members. It can be a repository of useful educational materials. It’s a practical solution because your staff can access the materials from any computer. Plus, you can even monitor and assess their progress in studying the materials. It has a central position in most online business activities. A website is an asset. A social media profile is also an asset, and so is a mailing list. But a website is slightly different because it’s like an asset that all other assets lead to. If you have a mailing list, you will use it to get people to visit your website and buy your products. Your social media will host content that points toward the website. Search engine ads, banner ads, social media ads — they all lead people to visit your website. Your website is where you give them a proposition they cannot refuse. It’s where strangers become customers. It’s good for search engine optimization. People use search engines to look for everything they need, from medical advice to new shoes. Your business and what it offers is probably somewhere in that mix, which means that you have to ensure people see your business when they search for products or services you offer. Your website can help you whether you want to appear in local searches or are looking to rank better in general searches. The mere fact that you have a website with plenty of local keywords will help your local rankings. As for the general rankings, a website can host a blog, and content is the most important thing for good rankings. A website, in this day and age, is a proof of existence. People will do a search for your business when they hear about it. If a website doesn’t appear, your business will lose a bit of credibility. If you have a website but it doesn’t look good or perform well, your business will lose some more credibility. A website is a sign that your business is serious. By adding information about your business’ physical location and contact information like a phone number, you can show that your business is serious. These things count in the digital world. And that means they count in the analog world, too.